It’s time to super-floss your look and get the appearance which you have been dying to adore. 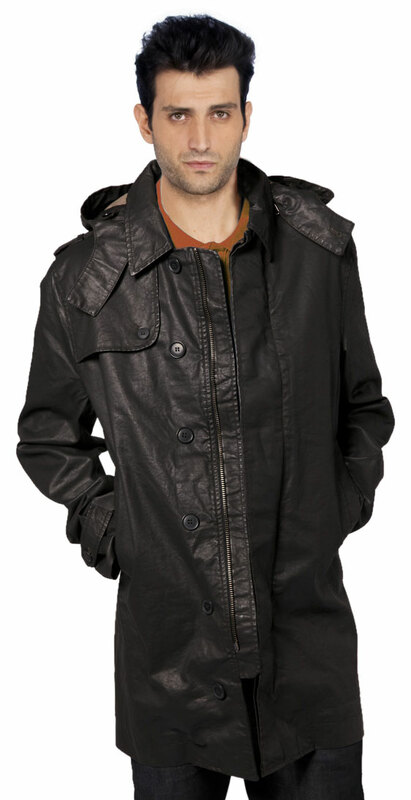 This leather coat for men has unique features such as cape style at the back a hood and a flap on the shoulder that gives a modish look to the wearer. It is made from lambskin leather that is soft to touch and has a glossy texture that gives a glamorous appearance to the wearer. 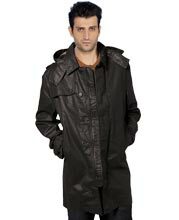 This leather coat can be teamed up with a denim jean or a leather pant and shoes in the footwear.